Lotus is fully committed to the North American market and will produce a 2016 Evora that will be fully compliant for Canada and the U.S.
Consequently, Lotus will not be producing a 2015 model year Evora, but there will be limited availability of 2014 models. The Lotus Elise S Cup R and the Lotus Exige V6 Cup R are also sold in Canada and the U.S. for race and competition use only. 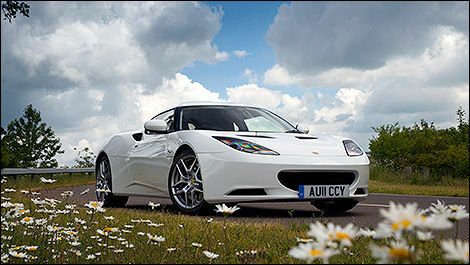 Lotus currently has 45 dealers in North America and plans to open additional dealers in key market areas over the next few months.